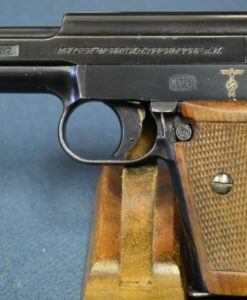 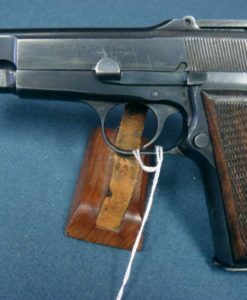 SOLD EXCEPTIONAL PRISTINE US WW2 COLT 1911A1 US ARMY PISTOL….NOV, 1944 PRODUCTION….MINT NEW CONDITION! 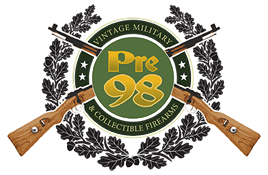 In 99% mint frosty new condition, we have an exceptional example of a November, 1944 production Colt 1911a1 US Army Service Pistol. 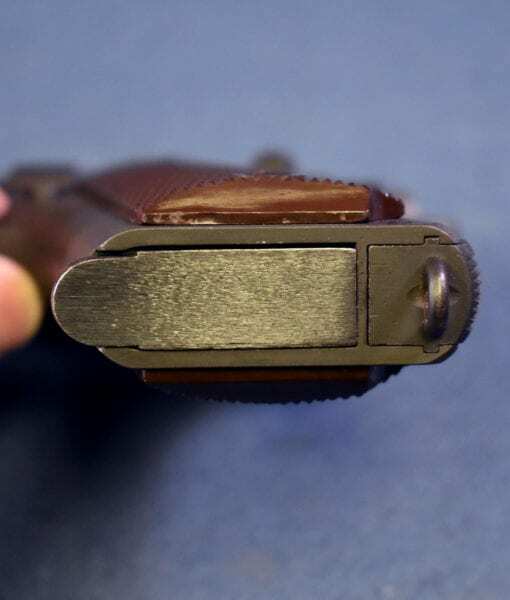 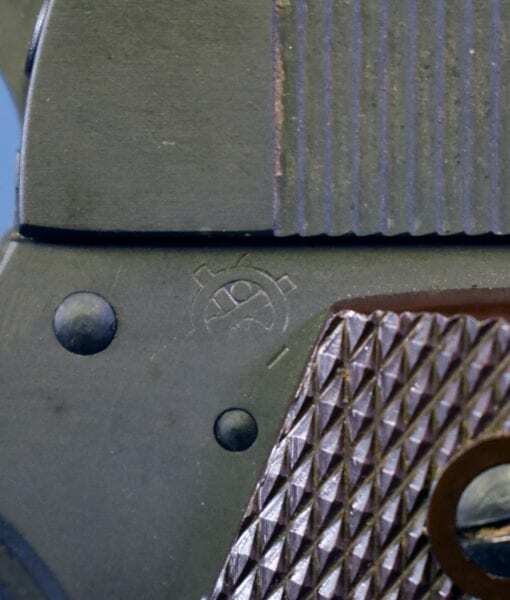 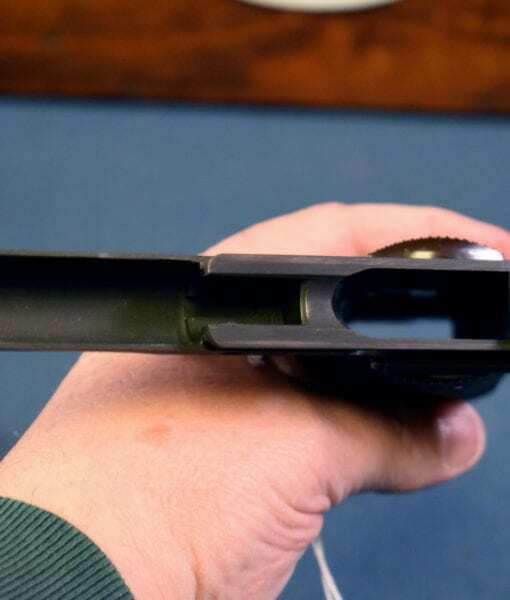 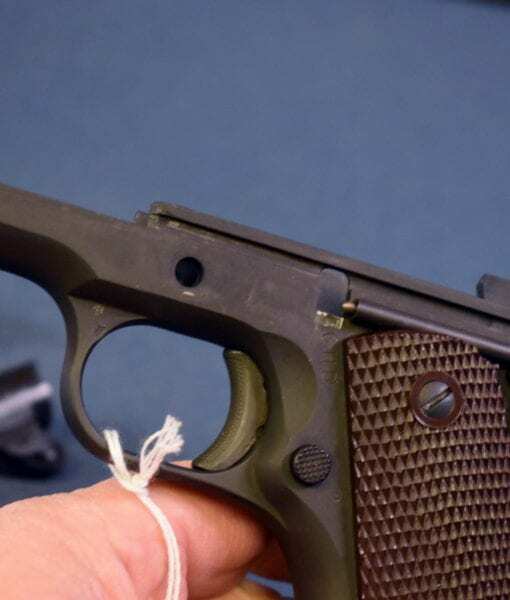 This Parko-Lubrite finished pistol is so untouched it still has traces of the packing grease and the Parko-Lubrite finish is still frosty looking. 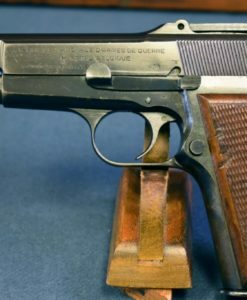 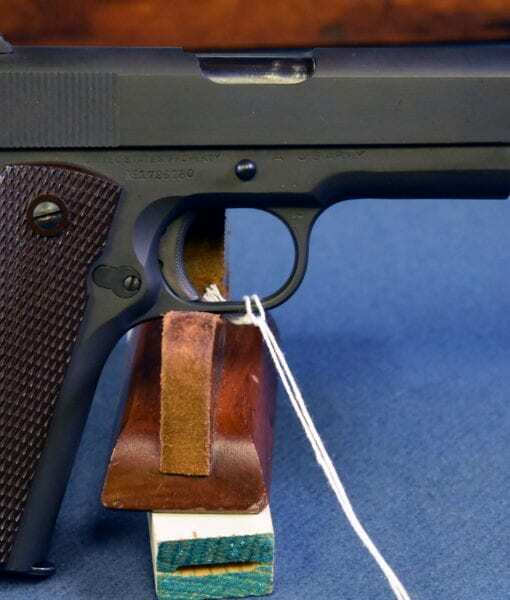 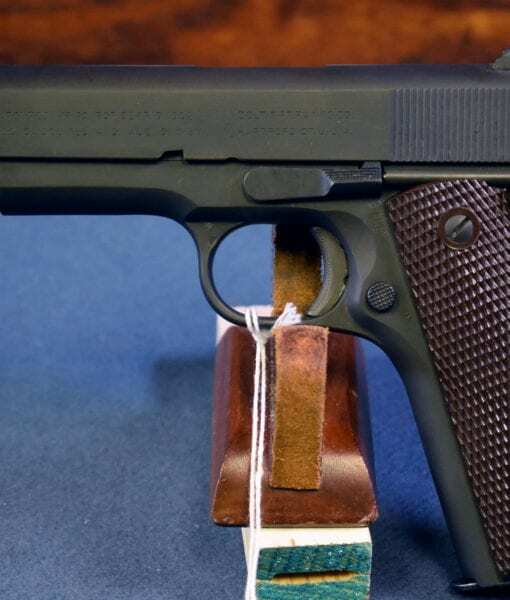 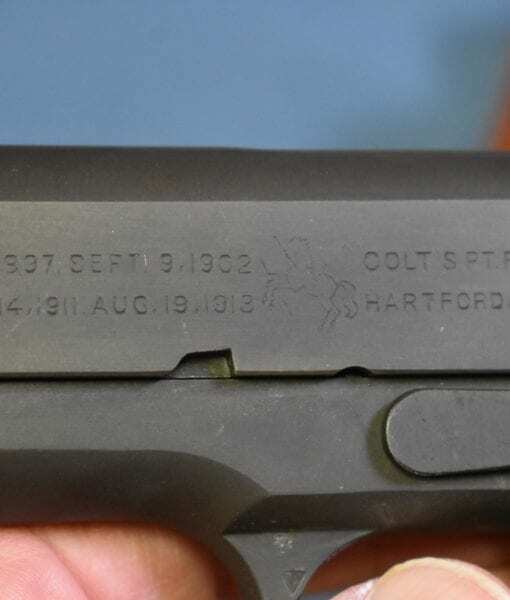 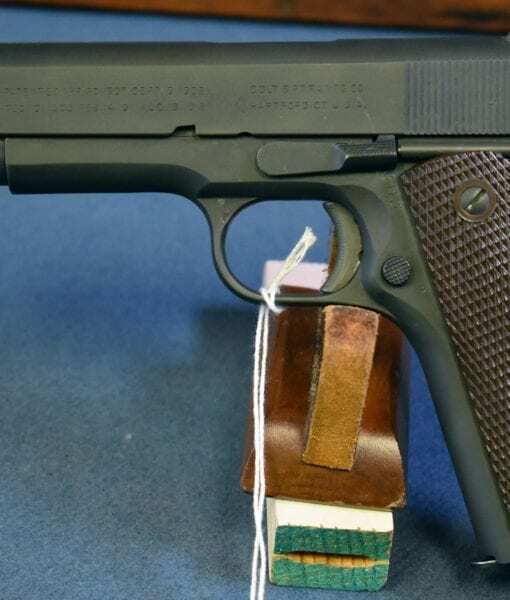 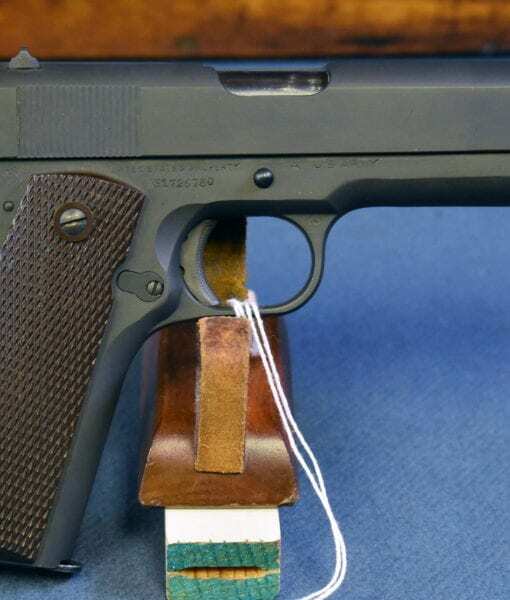 This is a pristine example of Colt made 1911a1 at the height of wartime production. 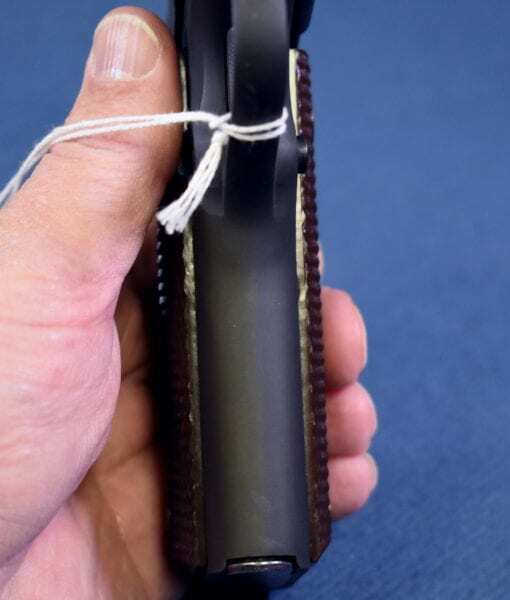 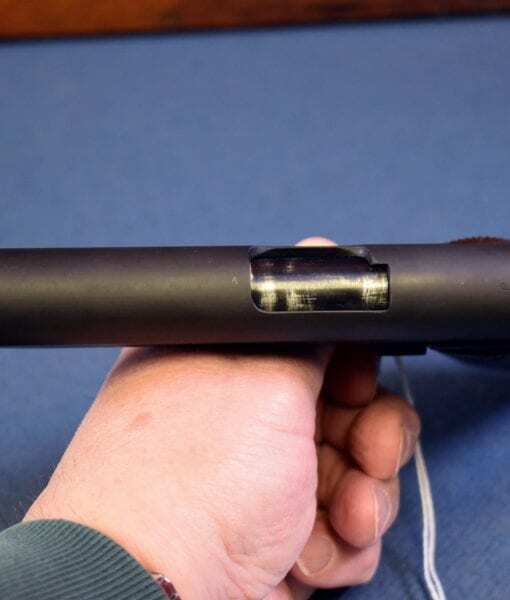 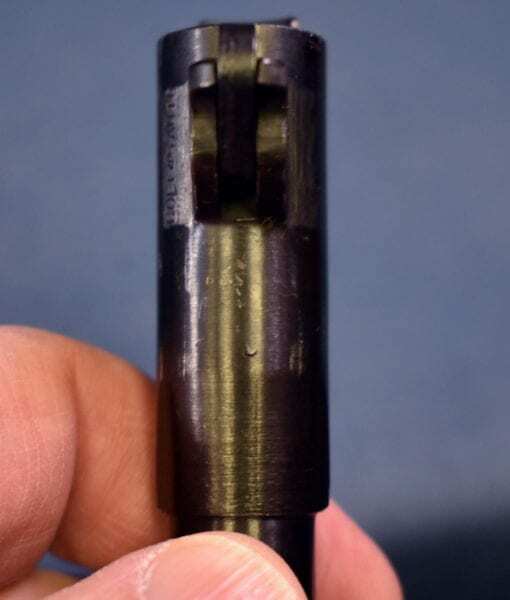 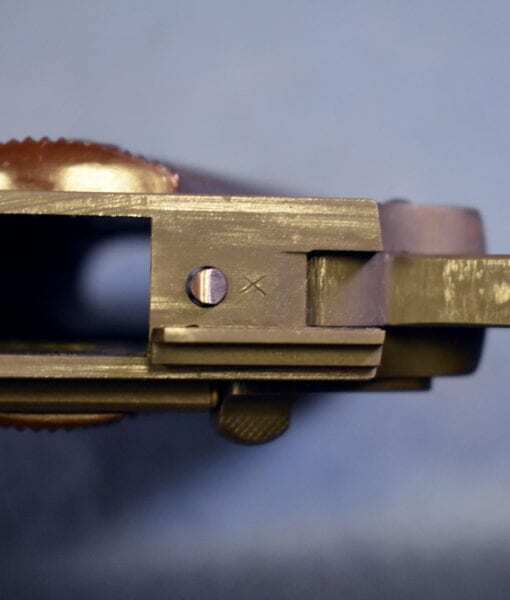 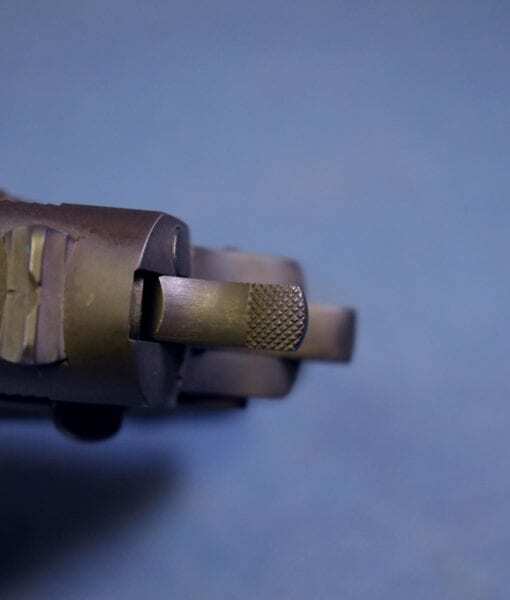 It has later features such as the flat hammer and the grooved mainspring housing. 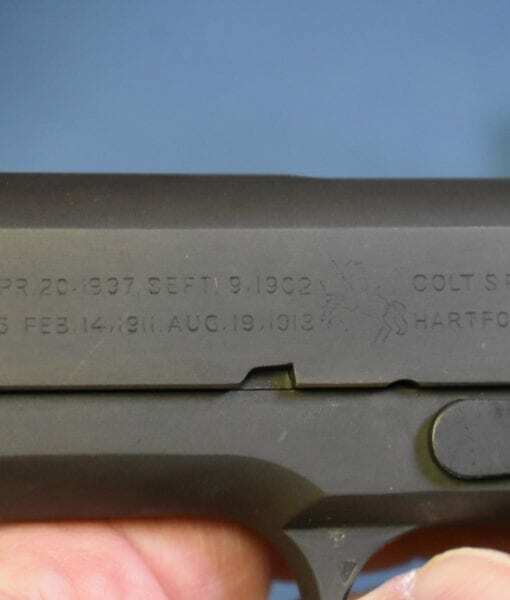 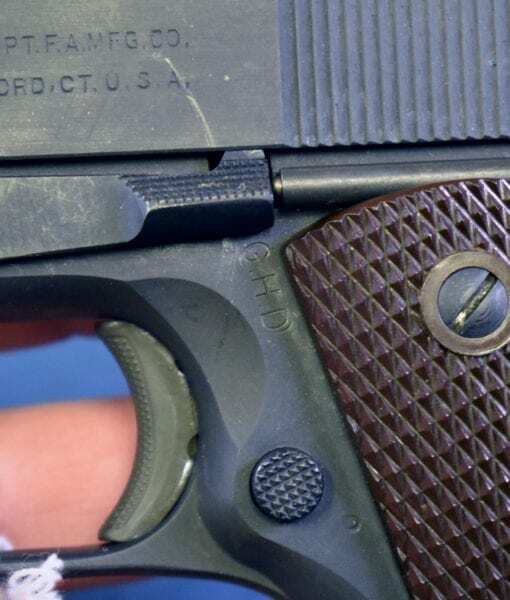 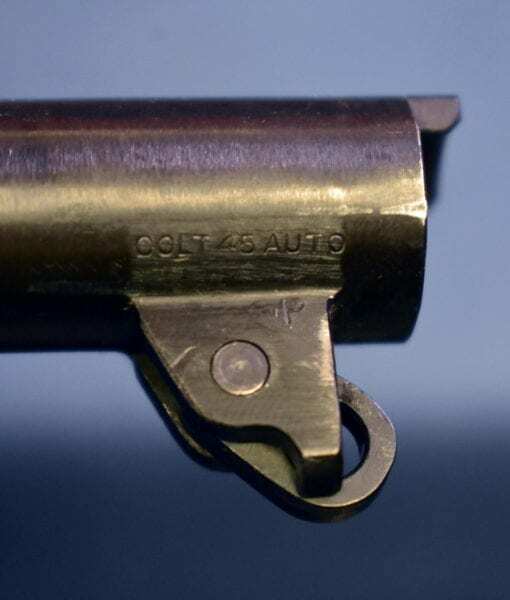 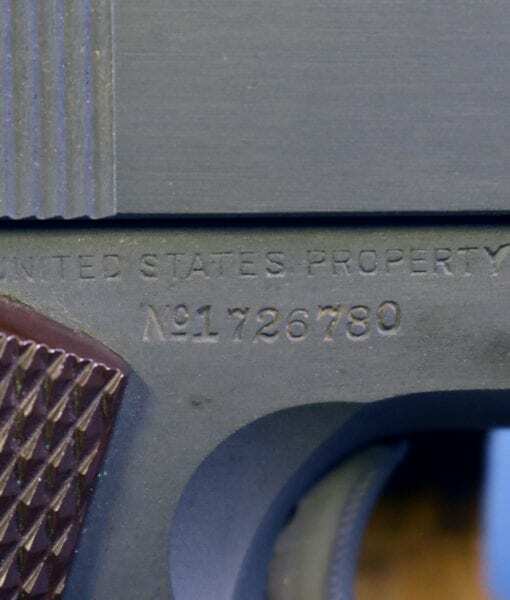 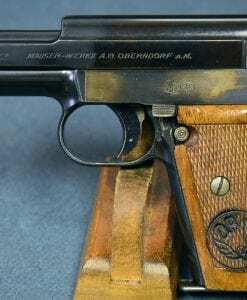 In 1944 Colt produced more 1911a1 pistols than any other year, totaling over 162,000. 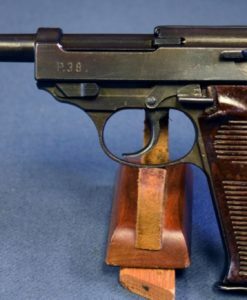 Still with that being said to find one that survived the war in this little more than slightly handled condition is a real find! 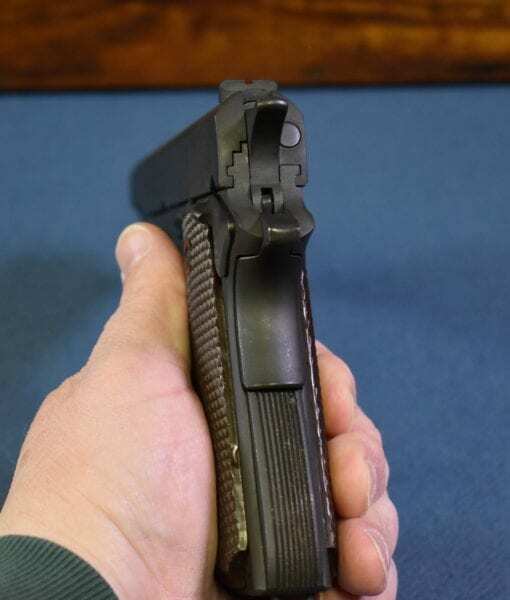 In this economy I could not think of a better tangible asset to own than a WW2 Colt 1911a1.